This post compares trades made during the 2010 season between the opening game and the trade deadline on October 19 (after Week 6). For analysis and comparison of trades made during training camp and the preseason, check out this post. 10 – Patriots trade WR Randy Moss and a 2012 seventh-round pick to Vikings for 2011 third-round draft pick – The Vikings, desperate to contend this season, gave up a third-round draft pick to bring Moss back after a five-plus-year absence. Moss has long been one of the preeminent downfield threats in the league, and although he has just nine catches through four games this year, he has been a 1,000-yard receiver in 10 of his first 12 NFL seasons. And when he’s motivated – which this trade plus a contract drive should provide – he’s still one of the most dominant players around. Brett Favre has long wanted to play with Moss, and now he gets the chance. The move comes at a good time, because the Vikings are without Sidney Rice for at least another month, and Percy Harvin’s migraine issues can keep popping up. This is the kind of trade a team makes to remain a contender, and while it mortgages the future via a draft pick, the Vikings had already gone all-in with Favre. That makes this trade make sense. For the Patriots, trading Moss seems foolhardy on the surface, because they have no one to replace him. But Moss wasn’t happy in New England, and he’s been known to institute Operation Shutdown in similar situations in Oakland and Minnesota. So trading Moss might have become a necessity. The offense will suffer, as the Pats rely on Brandon Tate to emerge as a legitimate outside threat. Wes Welker will be even more of a security blanket for Tom Brady, and rookie tight ends Rob Gronkowski and Aaron Hernandez will have to continue their early-season production. That still leaves a hole at an outside spot, with either Julian Edelman moving outside or rookie Taylor Price getting a shot. Regardless of what the Patriots do, a bit of a decline in 2010 is inevitable. But the Pats now have a young and talented receiving corps headlined by one veteran in Welker, and they also have double picks in the first four rounds of April’s draft. Again, the Patriots must at some point use these picks to upgrade, but they are rebuilding on the fly and doing it very well. It’ll be interesting to see if the Patriots can survive offensively in 2010, but it’s easy to foresee them thriving in the future because of trades like this. That future plus Moss’ past made this move sensible for Bill Belichick and company. 7 – Bills trade RB Marshawn Lynch to Seahawks for 2011 fourth-round pick and conditional 2012 draft pick – Lynch, a former first-round draft pick, has been effective but unspectacular in his three-plus years in Buffalo, although off-field issues have raised consternation. He’s averaged around 4.0 yards per carry, which is good but not great, and last year Fred Jackson began to surpass Lynch on the depth chart. This year, the Bills spent a top-10 overall pick on C.J. Spiller, who is more explosive than Lynch and took more carries away. And given the depth of the Bills’ needs elsewhere, having three starting-caliber backs was foolish. So the Bills finally gave in and dealt Lynch to Seattle for a fourth-round pick this year and a sixth-rounder in 2012 that can become a fifth-rounder if things go well for Lynch with the Seahawks. The trade doesn’t significantly lessen the Bills’ chances of recording even a single win, so whatever price they got will help. For the Seahawks, Lynch represents an upgrade over Julius Jones (who was released when the deal went down). He is a far better every-down back who can be supplemented by former college teammate Justin Forsett and Leon Washington to add more explosiveness. It’s another piece for a Seahawks offense that is adding pieces wherever it can to upgrade the talent level. Given the weakness of the NFC West, adding Lynch could help the Seahawks get another win that could get them to 8-8, which could be enough for a playoff berth. Given that situation, then, this price isn’t too much to pay for a guy who will come in and start for 12 games in 2010 and who is also signed for 2011. 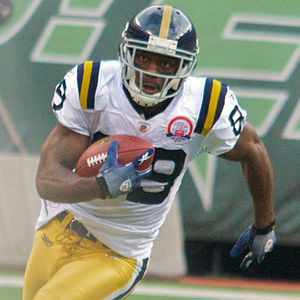 7 (con’t) – Seahawks trade WR Deion Branch to Patriots for 2011 fourth-round draft pick – After trading away Randy Moss, the Patriots bolstered their receiving corps by bringing back Deion Branch from the Seahawks for a fourth-round pick. With Moss gone, the Patriots needed another outside receiver who could keep pressure off Wes Welker in the slot and allow Brandon Tate to develop. Branch may not be able to do this, because he topped out at just 53 catches in his four full seasons in Seattle, but his presence will undoubtedly make Tom Brady comfortable. Maybe Branch can emerge into a Jabar Gaffney-type threat for New England and deliver enough presence to keep Welker and Tate from being mobbed by defenders. Given Branch’s history with Brady, which includes a Super Bowl MVP trophy and 213 catches as a Patriot, the move makes sense. New England overpaid for Branch by giving up a fourth-round pick in 2011 (it’ll be the higher of New England’s pick or the pick the Pats acquired from the Broncos for RB Laurence Maroney), but from the Patriots’ perspective Branch will be more valuable than Maroney, and so the net result is a win. The Seahawks, meanwhile, get a solid asset back for a guy who has been starting but has just 13 catches this season. With youngsters Golden Tate and Deon Butler, reclamation project Mike Williams, and recently signed vet Brandon Stokley, the Seahawks didn’t really need Branch, so getting a pick they can use to upgrade their talent level works – as long as they don’t think about the first-rounder they traded away to get Branch for four mostly disappointing seasons. 5 – Patriots trade RB Laurence Maroney and 2011 sixth-round pick to Broncos for 2011 fourth-round pick – Maroney, a former first-round pick, never lived up to the hype in New England. He had three 700-yard seasons out of four, but never had more than 835 yards. He also failed to grasp the passing game well, which kept him from getting playing time. And this season, Maroney fell behind a healthy Fred Taylor, as well as role players Sammy Morris and Kevin Faulk, which led to him being inactive in Week One. So he goes to Denver to be reunited with Josh McDaniels, who likes to collect running backs. Maroney won’t replace starter Knowshon Moreno, but he could usurp Correll Buckhalter as the backup. The Broncos don’t lose a draft pick but instead trade back from the fourth round to the sixth, giving up the equivalent of a late fourth-rounder. That’s a significant but not prohibitive price to pay for a guy who might just be a first-round bust. 3 – Jaguars trade S Anthony Smith to Packers for conditional 2011 7th-round draft pick – With Morgan Burnett out for the year and Atari Bigby still on the PUP list, the Packers called in reinforcements by signing Smith. The fifth-year veteran had started three games for the Jaguars, but he’s a passable veteran but not much more. Still, given the Pack’s injury woes, adding Smith for such a small price is a worthy investment. They’re hoping that Smith provides stability in the back end for them. 2 – Eagles trade RB Mike Bell to Browns for RB Jerome Harrison – In a classic change-of-scenery trade, the Eagles and Browns traded backup running backs. Harrison had some huge games down the stretch for the Browns last year, but even in most of those games he wasn’t breaking big runs. He’s not huge, but he can make one cut and go. He was surpassed this year by Peyton Hillis in Cleveland, and so the trade makes sense. His running style and receiving skills seem to fit better in Philadelphia’s West Coast offense. Bell, who signed as a free agent with the Eagles in the offseason, is more of a banger who runs a lot like Hillis and who makes more sense as a Hillis-style runner for Cleveland. Since both players are on the final year of their contracts, both teams are looking for someone who better fits their offense right now, and thus this trade is a why-not-try scenario. 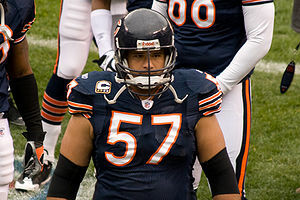 2 (con’t) – Chiefs trade DE Alex Magee to Buccaneers for 2011 draft pick – Magee, a third-round pick in Kansas City in 2009, never panned out as a defensive line contributor for the Chiefs. But he’s got good size at 6-3, 300 pounds, and the Bucs need a lot of help at defensive end both against the run and the pass. So spending a conditional draft pick on a prospect like Magee makes sense. 1 – Vikings trade DE Jayme Mitchell to Browns for late-round 2012 draft pick – Mitchell, who played in two of the Vikings’ first three games and had just one tackle, moves to Cleveland, where he will add depth on the defensive line. The five-year veteran has played just six games since 2007 for the Vikings, but he should be good enough to contribute for the Browns. The Eagles and Browns shuffled backup running backs Wednesday, trading Mike Bell for Jerome Harrison. Below are some thoughts on the move; we’ll compare it to other trades in a post next week. In a classic change-of-scenery trade, the Eagles and Browns traded backup running backs. Harrison had some huge games down the stretch for the Browns last year, but even in most of those games he wasn’t breaking big runs. He’s not huge, but he can make one cut and go. He was surpassed this year by Peyton Hillis in Cleveland, and so the trade makes sense. His running style and receiving skills seem to fit better in Philadelphia’s West Coast offense. Bell, who signed as a free agent with the Eagles in the offseason, is more of a banger who runs a lot like Hillis and who makes more sense as a Hillis-style runner for Cleveland. Since both players are on the final year of their contracts, both teams are looking for someone who better fits their offense right now, and thus this trade is a why-not-try scenario.